Tropical Storm Bavi has slightly intensified overnight as it continues to move across the Western Pacific. 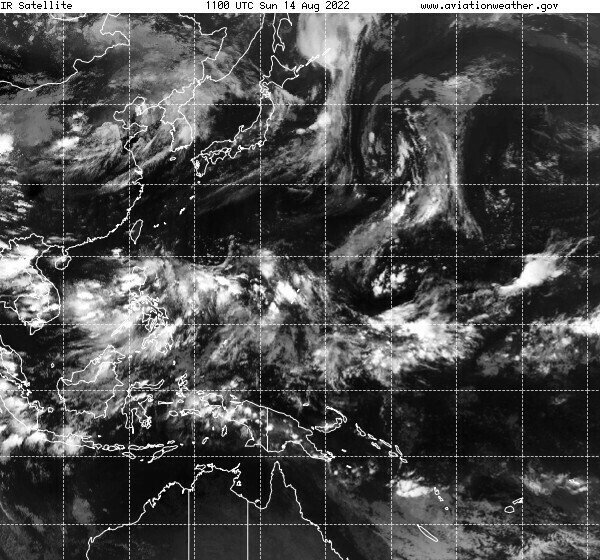 The system was last located approximately 380km northeast of Pohnpei (Federated States of Micronesia). Maximum sustained winds are at 75kph with gusts of up to 95kph. TS Bavi is moving westward at 30kph. 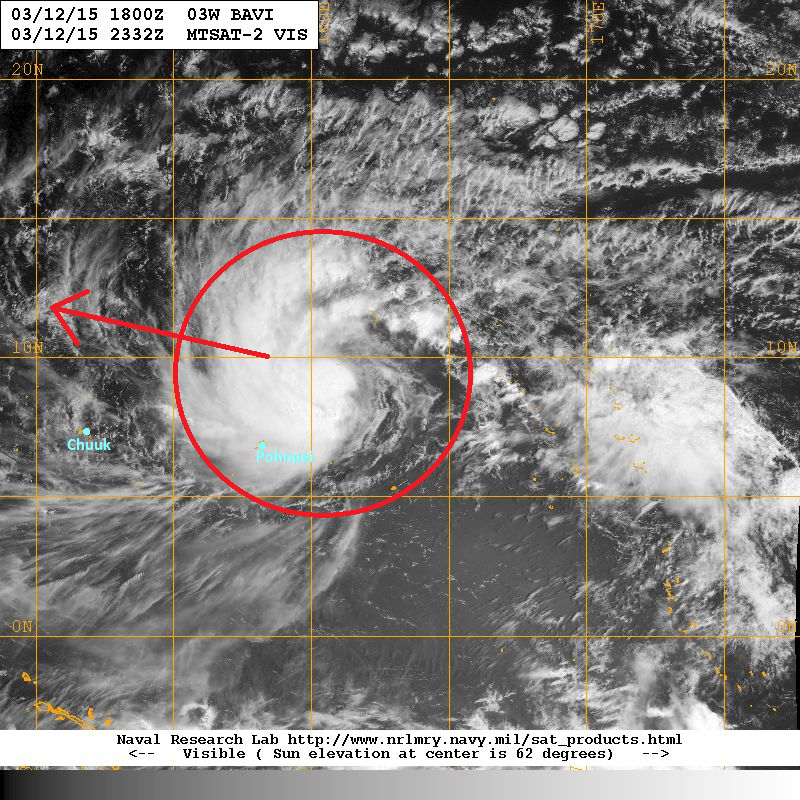 Latest satellite image shows strong convection associated with Bavi. However, moderate easterly wind shear is displacing much of that convection to the west of the circulation center. Hence, the system is having a hard time ramping up. Tropical Storm Bavi will continue moving generally west northwestward. Latest computer model projections take the system near Guam by early Monday morning as a strong Tropical Storm. Strong winds, heavy rains, and high waves should be expected across Guam and nearby islands in the Marianas during that time. Bavi will then continue moving westward under the influence of the subtropical ridge and could enter the Philippine Area of Responsibility by Tuesday or Wednesday.